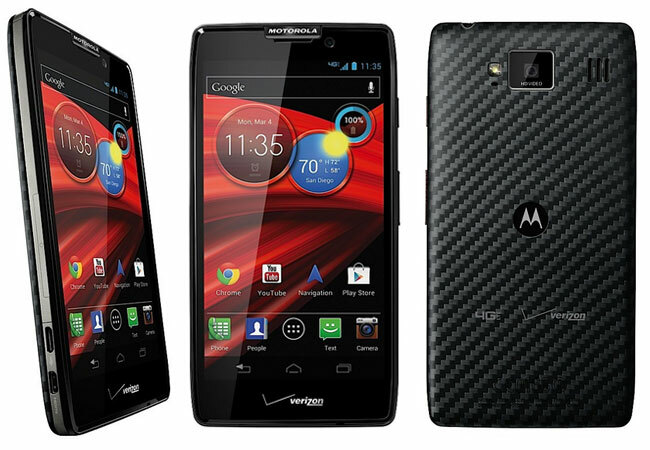 The new Droid RAZR Maxx HD is equipped with a 4.7 inch 720p Super AMOLED HD Display, and is powered by a 1.5 GHz dual-core processor, supported by 1GB RAM, running Google’s Android 4.0 Ice Cream Sandwich (ICS) operating system, and is NFC enabled. An update to Google’s latest Android 4.1 Jelly Bean operating system, is expected to be released in the near future. Other features of the Droid RAZR Maxx HD Android smartphone include a microSD card slot with support for up to 32 GB of extra storage. Together with a rear facing 8 megapixel camera with LED flash and 1080p HD recording, and front facing VGA camera for video conferencing. Unfortunately no information on pricing or worldwide availability has been released as yet but they will be arriving sometime later this year, as soon as more details come to light we will keep you updated as always.